Are Inbound Marketers Really In Tune with Today’s C-Suite? Between the end of Q4 and the start of Q1, your teams no doubt exhausted themselves trying to plan and implement a strategy for the year ahead. Marketing may be focused on building brand awareness while your sales people are working to double the number of demo calls scheduled. But what about your CEO? The company’s 2016 goals were likely reviewed and shaped by them at some point, but is your marketing strategy for the year ahead addressing their biggest concerns as well? In January, PwC released their Annual Global CEO Survey; a comprehensive report compiled from data from over 1,400 CEOs around the world. While many executives expressed concerns over heavy-hitting geopolitical and regulatory factors that may impact many businesses in 2016, there were four overarching themes that emerged: growth, transformation, greater expectations, and measuring success. As we roll in to Q2, it’s not too late to make sure your team’s goals are aligned with your CEO’s long-term vision for the company. 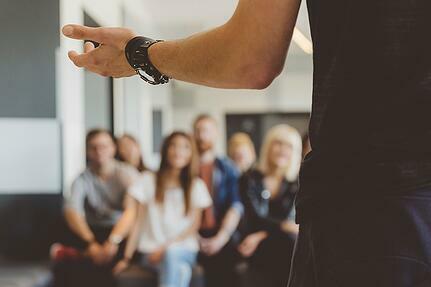 While an email marketing campaign may not prevent your business from being affected by tougher government regulations or a devastating cyber attack, the inbound marketing methodology has more in common with these high-level C-Suite goals than you may think. Before we dive in, I think it’s important to give an overview of inbound marketing. The term “inbound marketing” became a buzzword around 2006, as the marketing industry started to see a fundamental shift from traditional outbound tactics to digitized, permission-based marketing. Unlike outbound marketing, which employed more disruptive tactics like cold calling and generic, unwarranted email blasts, inbound marketing focuses on attracting leads to your owned properties through targeted, buyer-centric content. According to HubSpot, a thought leader in the inbound marketing space, companies are 3x as likely to see higher ROI on inbound campaigns than on outbound campaigns. Need more proof that inbound marketing is on the rise? Check out this Google Trends graph below. Now that you know a little bit more about the inbound methodology, let’s dive in to how an inbound marketing strategy can be used to tackle those pressing issues from the C-suite. Today’s businesses are being disrupted by a number of different factors; tougher business regulations, digital transformation in their industry, and customers that rely more and more on self-education to make buying decisions, to name a few. CEO’s are faced with uncertainty surrounding the growth and vitality of their business, and are challenged to simultaneously mitigate and take risks to keep up with the pace of change. For CEOs focused on growth, inbound marketing offers a long-term solution. As the lines between sales and marketing continue to blur, inbound marketing challenges both teams to work together to measure, refine, and create a closed-loop feedback system to bring in a steady stream of qualified leads. Focusing on attracting and engaging with your ideal clients and aligning your internal teams, rather than casting a wide net and wasting time on disruptive outbound efforts, could be the difference between companies teetering on the brink of failure and those that are around for years to come. Another key component of inbound marketing is content creation. Inbound marketers are constantly creating buyer-focused content and collateral (Think: white papers, case studies, infographics, blog posts, checklists, eGuides, etc.) to attract new business, and these efforts add up over time. While some of the content you produce may be focused on current industry trends and issues, most of it should be “evergreen” – information that is sustainable, lasting, and easily updated to stay relevant as your company, and the market, evolves. By employing an inbound marketing program in your organization, you are creating an internal system and content warehouse to build a stronger, lasting brand. As I mentioned in the previous section, businesses in the digital age are now selling to well-educated buyers with diminishing patience for pushy, ill-informed, and aggressive sales tactics of the past. CEOs are putting customers and clients at the top of their priority list, and will need to meet their expectations to survive into the future. Having a website that is optimized for mobile users increases the ease with which buyers can find the information they need. “Smart content”, or web content that displays differently based on the web viewer’s characteristics, keeps you from being all things to all people, and instead focuses on delivering the right solutions to high-value buyers. Social media is another channel through which inbound marketers can attract and engage prospects, and surveyed CEOs recognized social media as being a fundamental way buyers access information and buy goods and services today. Inbound marketing is all about building trust over time, and meeting your buyers where they live. Your content, messaging, and channels used should be personalized, easy to access, and convey your unique brand message to deliver the solutions your prospects, clients or customers, and key stakeholders are looking for. The gap between “digital native” companies and those being forced to adapt to digital disruption in their industry is widening; rapidly. Many CEOs recognize that technology presents an opportunity for them to gain more insight and connect more directly with their customers and clients; but what is the best way for them to leverage that technology? And how do they know which technologies to invest in? The marketing technology industry is growing, and the number of options can be slightly overwhelming (as seen in this infographic from Chief Marketing Technologist). 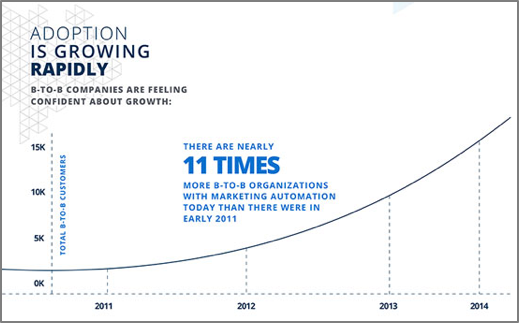 Marketing automation software is often used to support an inbound marketing strategy, and was designed to increase operational efficiency and decrease overall marketing spend. Targeted email marketing, content distribution, website optimization, and social media engagement are all elements of inbound marketing that many marketing automation platforms allow you to execute and monitor. Like any technology, however, marketing automation shouldn’t be implemented with the expectation that it’s a “set it and forget it” solution for your company. Inbound leads often require more nurturing before making a buying decision, and your marketing automation software, fueled by your inbound marketing strategy, can help deliver helpful information at every stage of their buying journey. Most marketing automation platforms, like HubSpot, Eloqua, Marketo and Pardot, integrate with CRM software to strengthen the communication between your sales and marketing teams, allowing you to more closely monitor your sales funnel, and better understand the unique needs, challenges, and buying habits of your customers. Inbound and marketing automation platforms are also time savers; while you shouldn’t rely solely on your tools to do the job for you, implementing an inbound strategy and investing in a marketing automation function frees up time for your teams to concentrate on innovating internally to meet the demands of your most important stakeholders. Perhaps one of the biggest challenges faced by CEOs is the need to prove the value of the strategies they are implementing, the risks they’re taking, and the money they’re investing. Unlike sales goals, which are generally more clear-cut and easier to report on, marketers must also closely monitor and track their efforts to prove their ROI at every stage. Website traffic, conversions, email performance, and social media engagement are just some of the metrics that inbound marketers must monitor on a regular basis to gauge the impact of their marketing efforts. With permission-based marketing, marketers must take a closer, more analytical look at their efforts to better understand their buyers, and to ensure that they are continuously altering and improving their strategy for optimal results. Today’s CEOs are faced with unique challenges that are shaped by economical, political, and technological forces. While outbound methods of the past may have gotten your organization’s content in front of more faces, today’s buyers have little patience for companies with disruptive, disingenuous sales tactics. By aligning your business’s marketing strategy with your buyer’s interests and pain points, as well as the challenges faced by your CEO, you will help position your company for growth and development into the future. 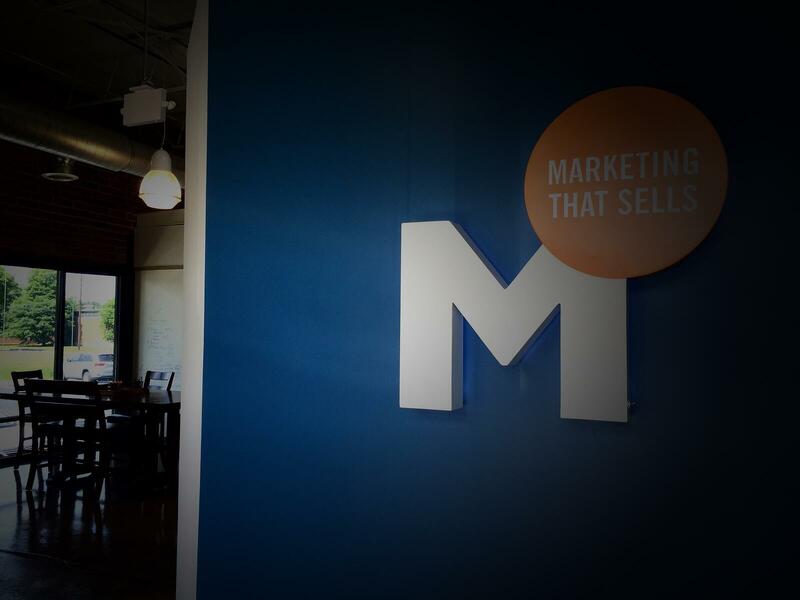 Ready to pitch inbound marketing to your executive team? Sharpen up your inbound vocabulary before your big presentation with our inbound marketing glossary.